Alvy Singer: [narrating] After that it got pretty late, and we both had to go, but it was great seeing Annie again. I... I realized what a terrific person she was, and... and how much fun it was just knowing her; and I... I, I thought of that old joke, y'know, the, this... this guy goes to a psychiatrist and says, Doc, uh, my brother's crazy; he thinks he's a chicken. And, uh, the doctor says, Well, why don't you turn him in? The guy says, I would, but I need the eggs. Well, I guess that's pretty much now how I feel about relationships; y'know, they're totally irrational, and crazy, and absurd, and... but, uh, I guess we keep goin' through it because, uh, most of us... need the eggs. 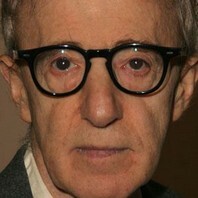 Alvy Singer : Don't you see the rest of the country looks upon New York like we're left-wing, communist, Jewish, homosexual pornographers? I think of us that way sometimes and I live here. Alvy Singer : My grammy never gave gifts. She was too busy getting raped by Cossacks. Annie Hall : La-di-da, la-di-da, la la. Alvy Singer: Syliva Plath - interesting poetess whose tragic suicide was misinterpreted as romantic by the college girl mentality. Alvy Singer: Don't you see the rest of the country looks upon New York like we're left-wing, communist, Jewish, homosexual pornographers? I think of us that way sometimes and I live here.